Spritz your dry shampoo into your roots before you hit the sheets. Your body temperature rises while you sleep, causing oil to build up in your hair overnight. Spray over your roots before you go to bed to wake up to fresh(ish) hair in the morning. Don’t just turn to your dry shampoo when you can’t be bothered to wash your hair, use it to add texture and volume to limp locks too. Hair pros use it to give models’ hair that extra ‘oomph’ before they hit the catwalk at fashion week. Spray it underneath your lengths and ends to give your hair an airy texture (L’Oréal Professionnel’s Anthony Turner does this ), work it into your roots with fingertips for a little height before you craft an updo, or alternatively, work it through your lengths to encourage movement and texture. Add dry shampoo to your daily styling regime. Use a mist to give bobby pins some grip and hold them in place, and stop your curls from clumping together if you’ve been a little heavy-handed with the hairspray. Plus, it cleverly disguises re-growth on blonde hair. Genius! Spray your dry shampoo onto your index finger and run it lightly over your eyebrows. The powder makes for a perfect primer before you go in with your brow pencil or powder. It will also tame wayward hairs and make your brows look fuller. Brooke Shields would be proud. 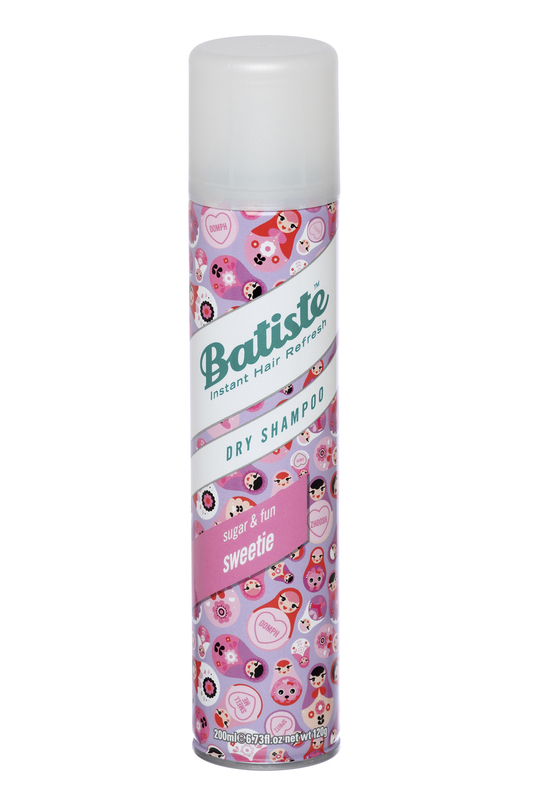 Who knew a humble can of Batiste can keep perspiration at bay? Dry shampoo absorbs oil and grease in your hair, so it stands to reason that it also soaks-up perspiration. Spray it on your back, thighs or any other area that’s prone to gathering moisture. We think this is ideal for when the office heating is sweltering or you’re running for the train.